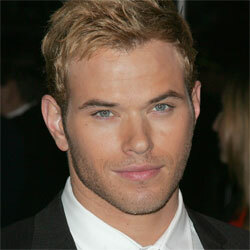 Kellan Lutz (born 15 March 1985 in Dickinson, North Dakota), is an American actor. He is known for his role as Emmett Cullen in the Twilight Saga movies, and starred in the movies Immortals, The Expendables 3, and The Legend of Hercules. Kellan Lutz is featured in OP clothing campaign with actress Katrina Bowden.